Hello Everyone, Today I have 3 DT projects to share with you. 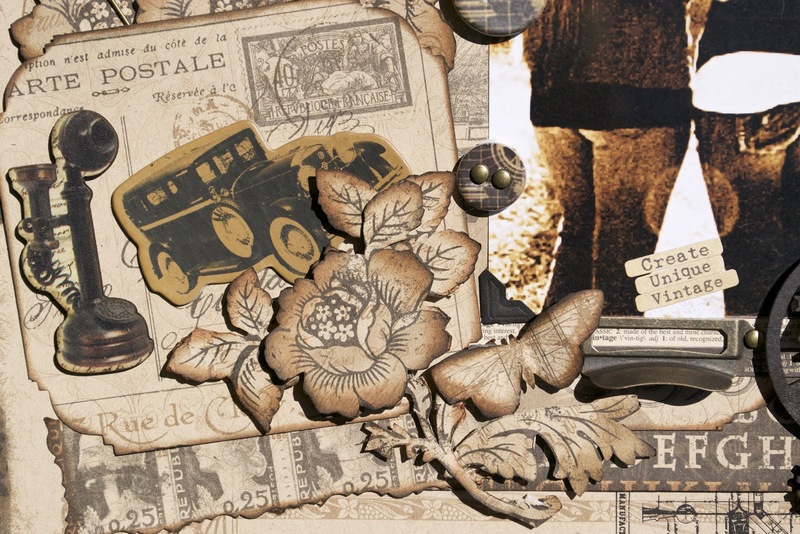 I decided to go a little vintage with a couple of them and a little whimsy with the other, so fun. Here's my first project, using the beautiful Graphic 45 "Kraft Reflections" paper collection. 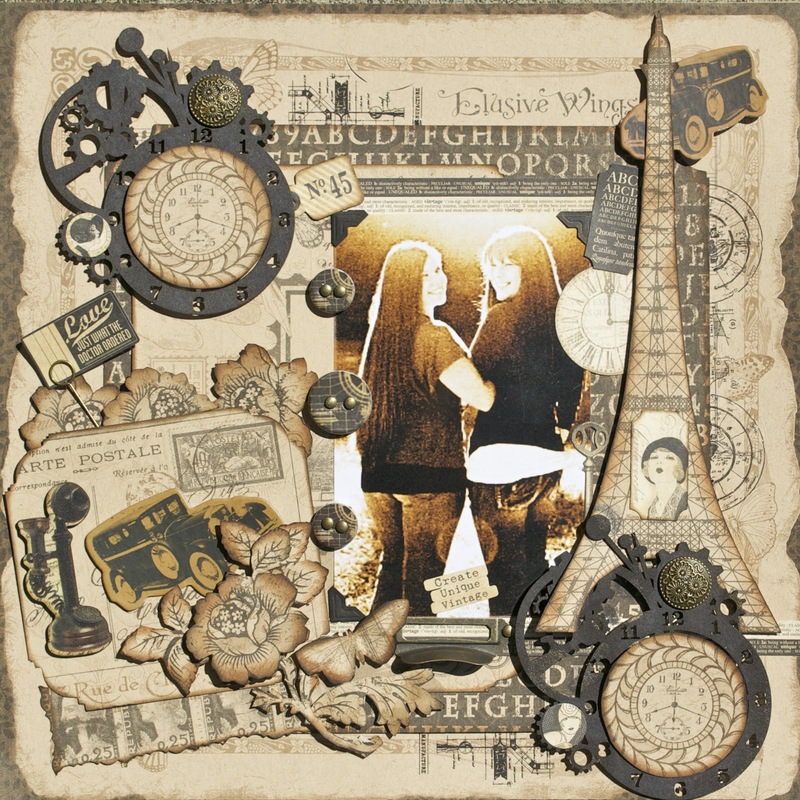 This is a photo of my friend's girls which I altered in Photoshop by adding some texture and then giving it a vintage feel. 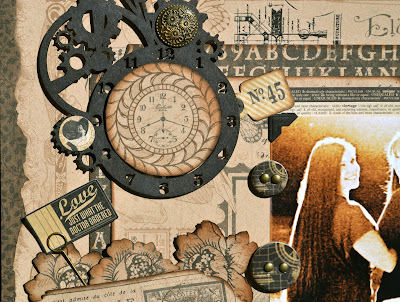 The Imaginarium Designs Chipboard is the large Steampunk Clock (IDS0030), one of my favorites!! 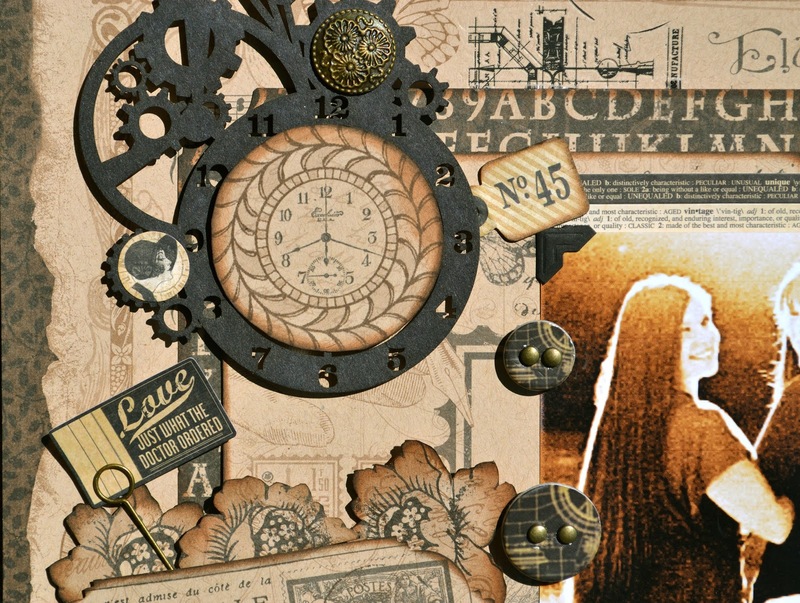 To alter the Imaginarium Designs chipboard I inked both pieces with Tim Holtz "Walnut Stain" ink and then added a couple of Antique Brass Brads along with a couple of small stickers from the G45 collection. to add here and there in the cluster on the bottom left side of the layout. To alter the Imaginarium Designs chipboard "Flourish 1 and Variations" (IDT0003) I first gessoed them and then inked them with Tim Holtz "Walnut Stain". After that dried I decided to use some Lindy's Stamping Gang's "Golden Lump Ocoal". And for my third project I went a little vintage again since it's my favorite. This is a photo of my hairdresser's little sweetie. Again I altered the photo in Photoshop using some texture and vintage feel to it. 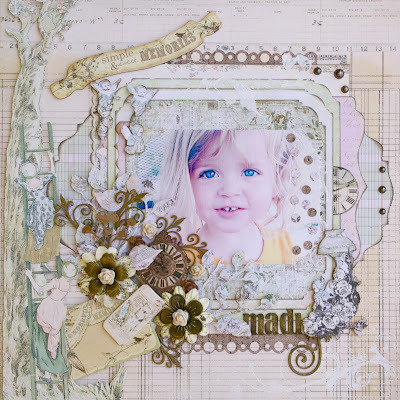 I used the awesome Prima "Printery" paper collection. I had this awesome rusty key that I just couldn't resist using. Again I did a lot of layering and aging of the paper. To alter the Imaginarium Chipboard pieces "Oval Frame" (IDFL0002) that I cut in half, and the "Thistles Board" (IDS0025) I first painted them with Folk Art "Parchment" paint. After that dried I inked the pieces with Tim Holtz "Vintage Photo" and then inked the edges with Tim Holtz's "Walnut Stain". Then I stamped them with a postal stamp that I used randomly in the layout for something different. Thanks for stopping by and I hope you enjoy!! 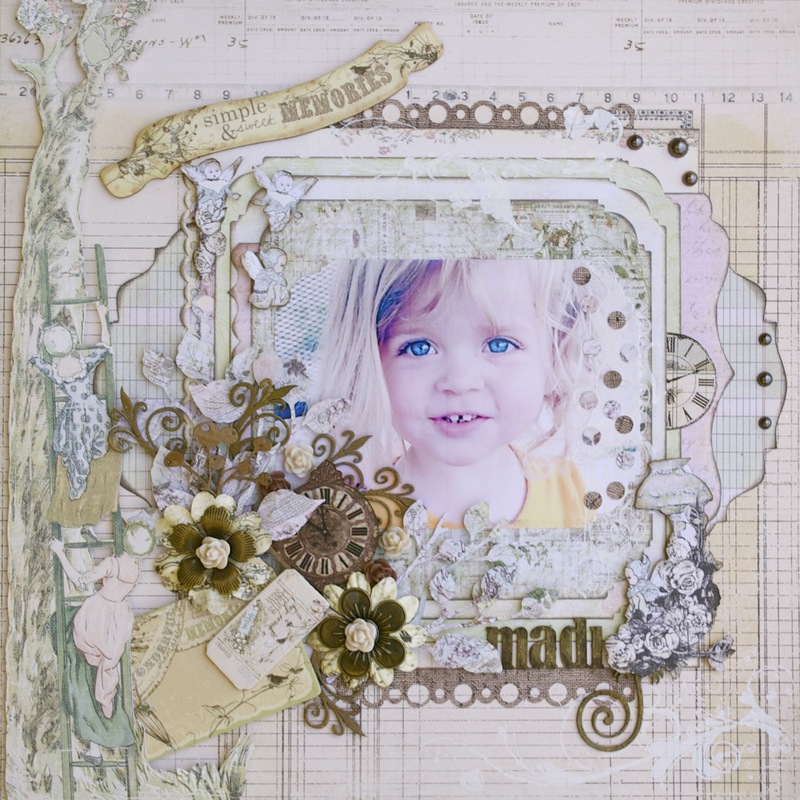 Don't forget to go to http://imaginariumdesigns.blogspot.com and leave a comment on my post to be entered to win some beautiful chipboard!!! Thanks for sharing your thoughts on ashamed.